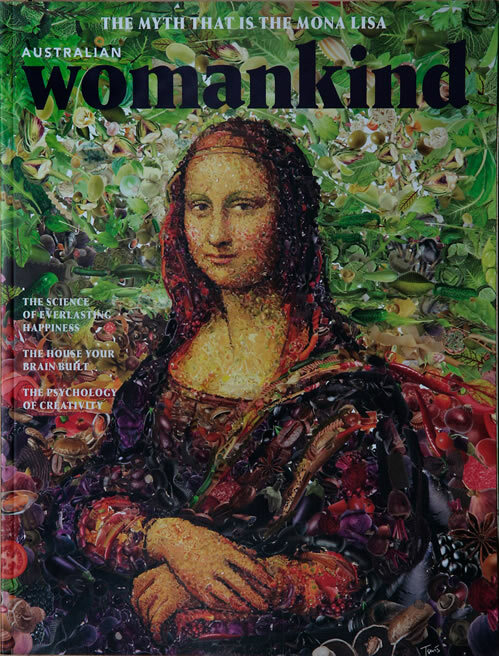 The award winning international publication, womankind Magazine, has featured Ingrid’s work in its current issue, with a written review by the editor and 8 images reproduced in stunning color throughout the magazine. Womankind Magazine, based in Australia (now available in the UK, Canada, New Zealand and the US) is known for its intellectual articles on human issues, not necessarily just for women as the name suggests. The articles challenge the reader to think and the magazine has gotten rave reviews such as from Women’s Agenda and selected as one of the best covers in the world by German media website: MEEDIA. Refreshingly, there are no advertisements. It is a magazine that asks the reader to reach higher, consciously and artistically. 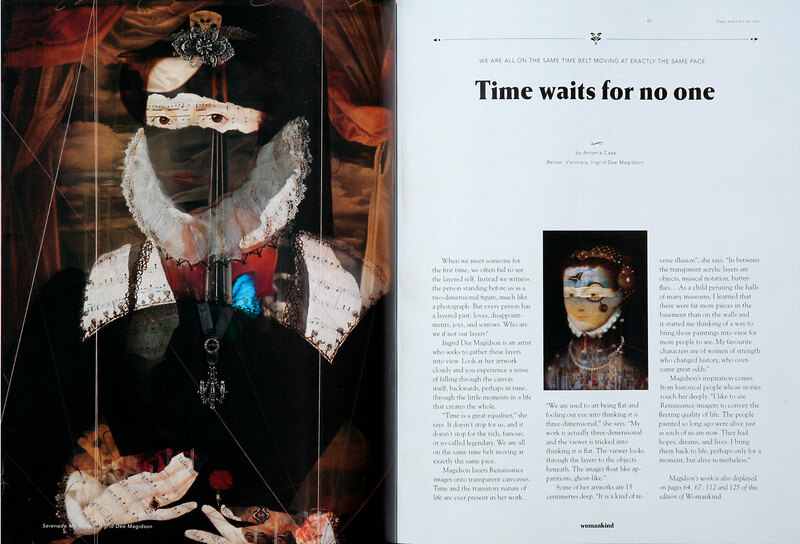 It is a real honor that Ingrid’s work has been selected for the magazine’s winter issue. The November – January issue of womankind Magazine goes on sale November 15th. Of course, you can purchase it online, or at Amazon.com, but also in the US at Barnes & Noble and other media retailers. Be sure to get the Winter 2015/2016 issue with the Mona Lisa on the cover. This entry was posted in Australia, Magazine Articles, Publications and tagged Australia, Meedia, mona lisa, Womankind Magazine, Women's Agenda. Bookmark the permalink.